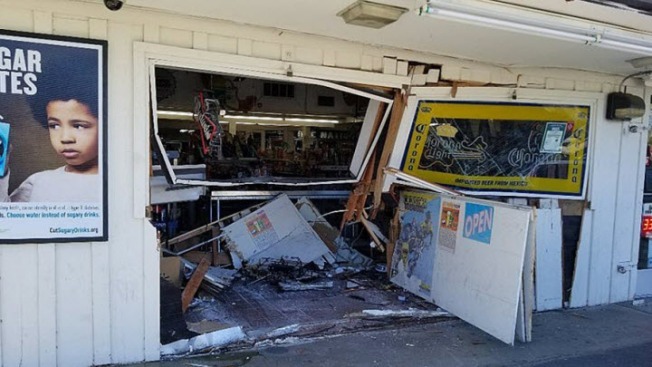 A man is in custody after he crashed his vehicle into a storefront in Concord on Tuesday afternoon and fled, leading police on a short chase. Just after 12:30 p.m., a vehicle being driven by 37-year-old Concord resident David Gopi crashed into Farm Bureau Market at 1701 Farm Bureau Road, police said. After the crash, he drove off. Gopi then allegedly caused another collision at the intersection of The Alameda and Fifth Street. A citizen followed Gopi and assisted police in locating him, according to police. A brief vehicle pursuit with police ensued but ended when Gopi stopped on Park Street near Clayton Road. Gopi, however, refused to follow commands and allegedly yelled at the officers to shoot him. He then charged a police K-9 officer and his K-9 partner, attempting to choke and punch the K-9 in the head several times, police said. Gopi was eventually then taken into custody and received medical attention at the scene before he was taken to John Muir Medical Center in Walnut Creek for treatment. Gopi has since been released from the hospital and was booked into the Martinez jail on suspicion of attempted murder, suspicion of driving under the influence and assault on a police dog, according to police. While investigating the case, officers learned that one of Gopi's acquaintances had been standing in front of the market he hit with his vehicle and Gopi accelerated in an attempt to hit them. The victim, however, was not struck or injured. The police K-9 did not sustain any injuries and has since been back on duty, police said. Anyone with information on the case is encouraged to contact Detective Scott Smith at (925) 671-3030.